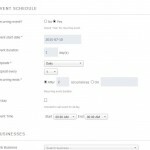 The GeoDirectory Events add-on is a compelling way to feature events in your directory, using Custom Post Types (CPT). 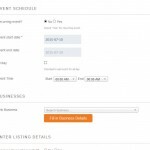 The add-on creates the CPT Events, by adding time and date to a standard listing. 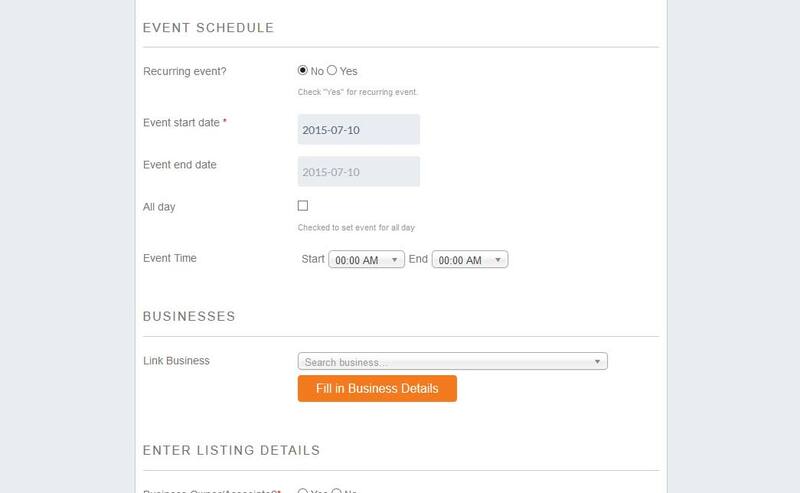 Users can now choose to list a place or an event. 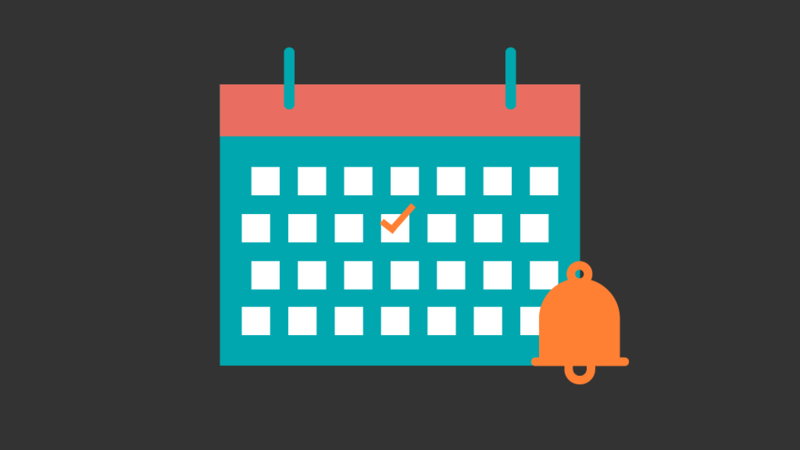 Do you host the same event every week or every month? 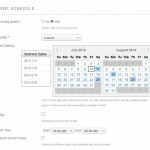 You can set events as recurring daily, weekly, monthly, annual events and even pick custom dates, to save entering a separate one-off listing each time. 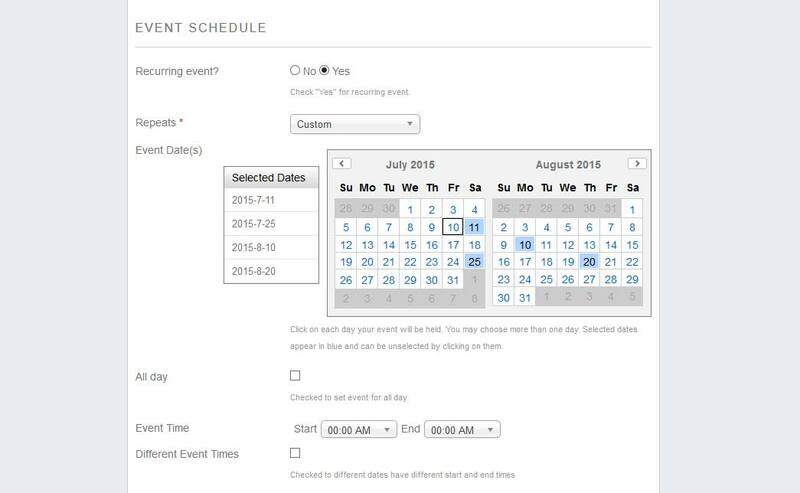 It’s easy to sort events by selecting “upcoming,” “today,” “past” or “all” and display custom events lists, grids and a simple events calendar anywhere using widgets. 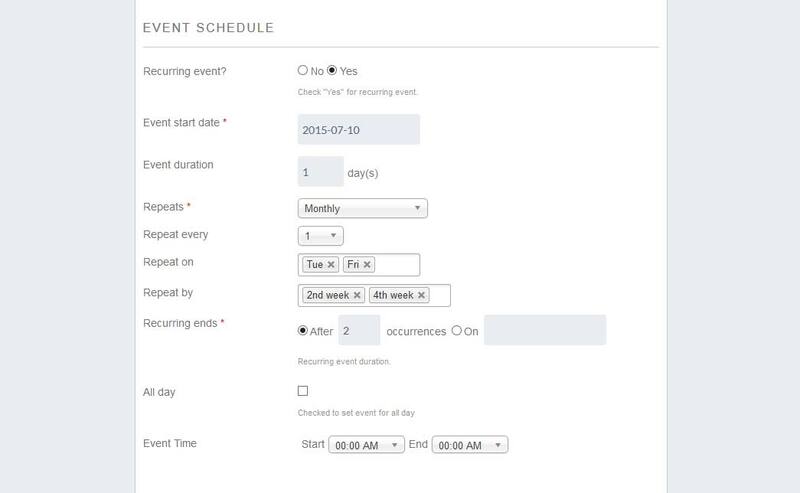 By default, events are ordered with the upcoming event first. 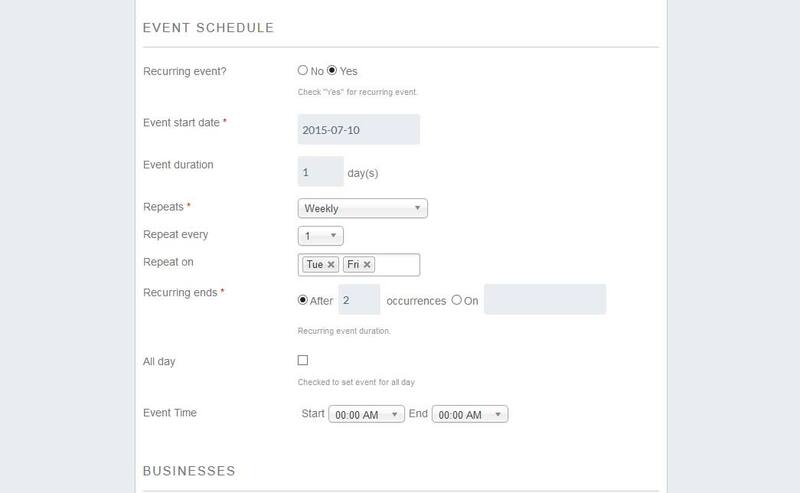 And since “Events” is a CPT, you can add custom fields and sort options as you would with any other CPT. If you already have the Prices and Payments add-on installed in your site, the submission of recurring events can be enabled or disabled per price package. 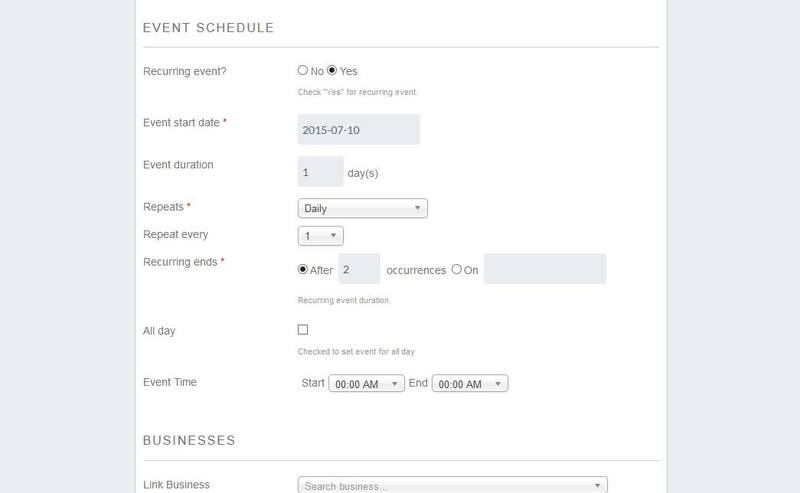 With the Advanced Search Filters add-on, you can search events by dates too.